CRI offers a range of BEE 5-Star rated pumps for various applications. CRI’s energy efficient products are well recognised by various Government Institutions, as trustworthy products for various projects across the globe to save energy. 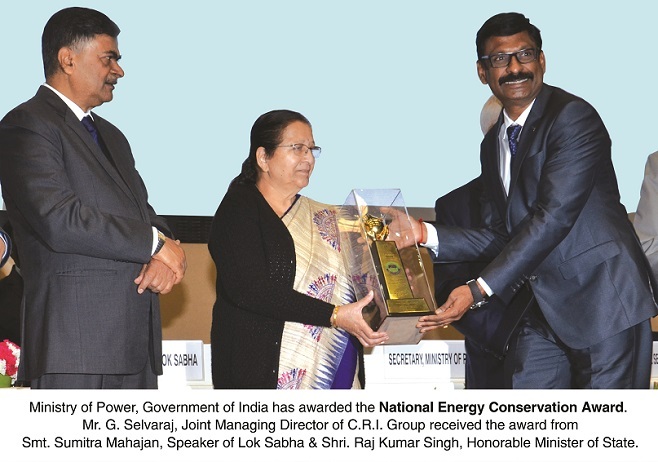 CRI is the contributor in the country for the projects of EESL (Energy Efficiency Services Limited) to replace the old inefficient pumps with 5-Star rated smart pumps with IoT. Until now, CRI has installed over 10 lakhs Star-Rated Pumps across the country resulting in a cumulative saving of more than 9,000 MUs of power for the nation.